Having spent countless hours as a kid decking out her dollhouse, it's no surprise that the talented and creative Anissa Zajac graduated to designing life-size homes as an adult. 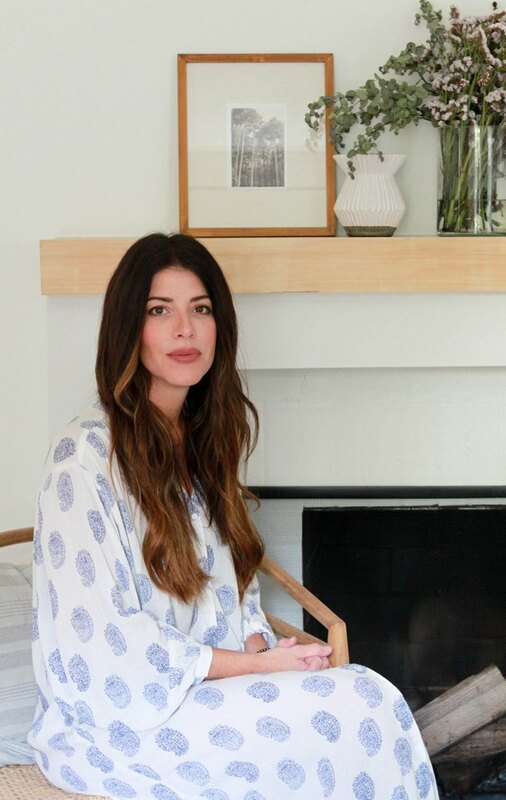 Half of the husband-wife team behind the blog and residential interiors company House Seven Design and Build, Anissa has turned her burning passion for all things home decor into a flourishing business. 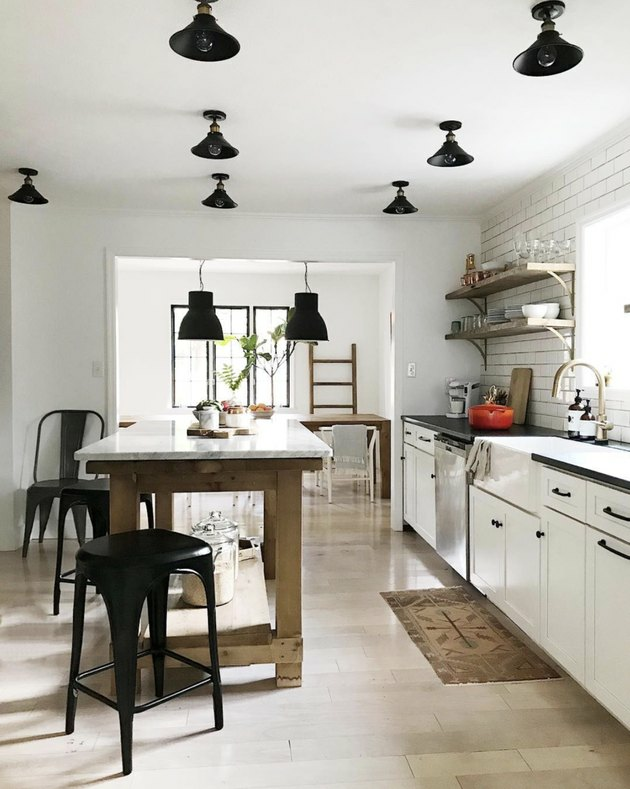 Based in Indianapolis, Indiana, Anissa uses her signature modern, rustic farmhouse aesthetic to create stunning interiors that exude warmth and comfort. 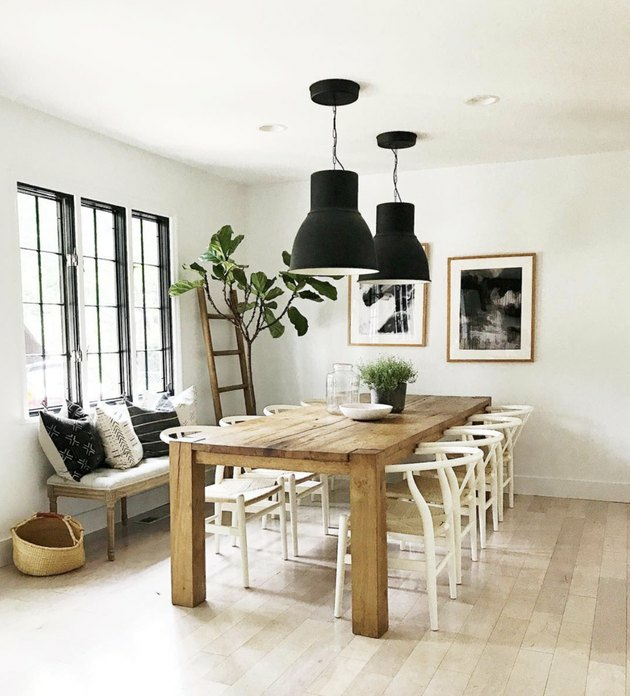 We were lucky enough to hunker down with this busy mom of three, wife, designer, and business woman to chat about her drool-worthy personal style, and of course, take a look inside her home sweet home. Hunker: How would you describe your home's style? Hunker: Where do you go for inspiration? Do you have any favorite designers, apps, websites, or magazines? 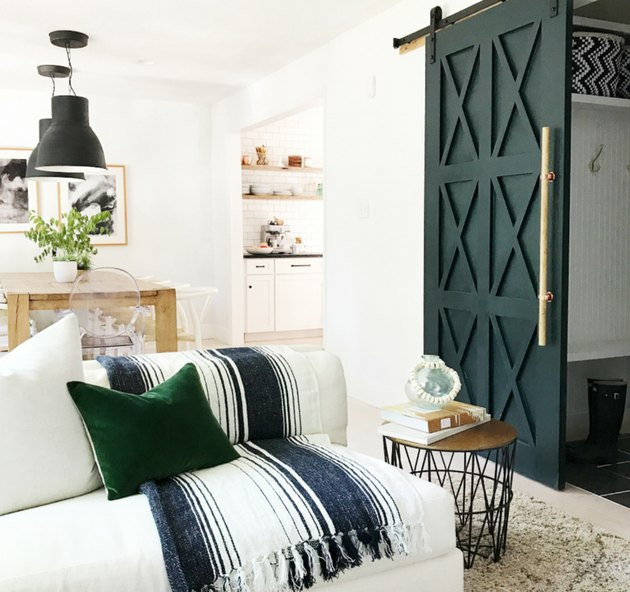 Anissa: Amber Interiors is my favorite designer. I also use Pinterest a lot for inspiration. Hunker: What was the last thing you splurged on for your home and where did you get it from? 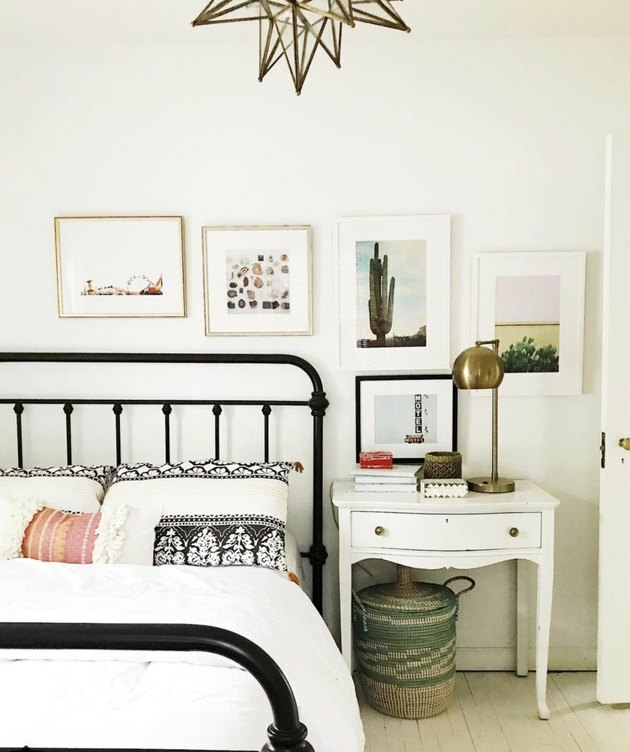 Anissa: Our Restoration Hardware bed — great quality and has lasted for years. Hunker: What book is on your nightstand and/or coffee table right now? What show are you currently binge-watching? Anissa: Eat, Drink, Nap: Bringing the House Home is currently on my nightstand right now. It's a fun book that offers a lot of entertaining and design tips. I'm bingeing Sharp Objects on HBO. It's dark, but super good! Hunker: What was the last bargain item you purchased for your home and where did you get it from? Anissa: Hardware for our barn door. We DIYed our dowel rod and plumbing bell hangers. Hunker: What is one thing you want for your home, but haven't purchased … yet? Anissa: We need new windows. The home that we live in now has all of the original windows, which we need to replace. Hunker: Do you have anything in your home that has been handed down? What's the story behind it? Hunker: Do you have a favorite brand or store? If so, which brand and why does it resonate with you? Anissa: When I am on the hunt for something new to wear I always go to Madewell or Anthropologie. For furniture, I love everything from Industry West. Hunker: What are five of the most common design tips that you give clients for their homes? Anissa: Invest money in the large pieces — sofas, chairs, and tables that will be the focal point of the room. Keep the walls light and bright, so that it's easy to switch out pieces if you want to redo your space. 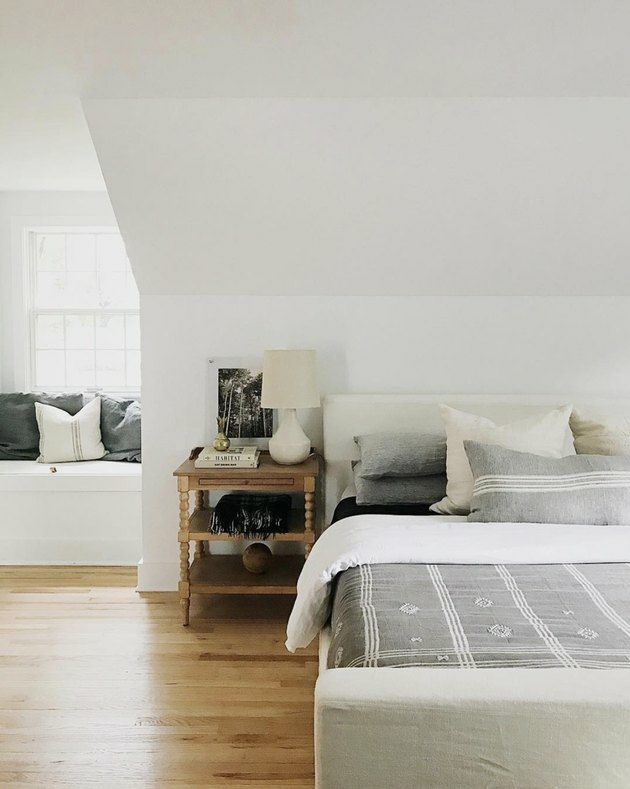 Consider small when purchasing furniture — you never want pieces to be too big and take over the room. Use dimmers on every light in your home. Lighting sets the mood. I firmly believe that everyone needs to own something black. Hunker: Do you have a design pet peeve? If so, what is it? Anissa: When clients move into a new home and they bring in all of their old furniture that won't work in the new space. 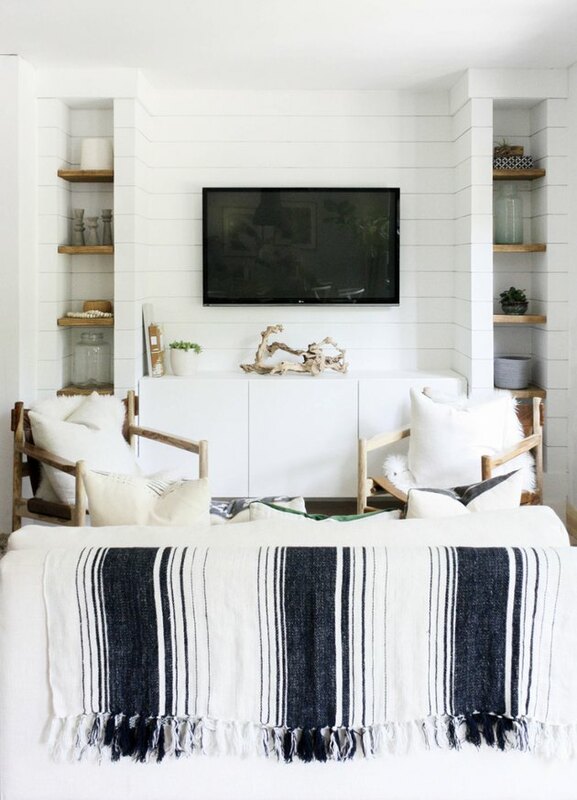 Hunker: What is your favorite corner or room in your house and why? Anissa: The kitchen. It's where we spend time as a family and host guests. Hunker: Describe a typical Saturday morning at home. Anissa: Saturdays are complete chaos for us. Between family stuff — such as getting the kids ready for soccer games — and trying to work, Saturday mornings become crazy real quick. Hunker: The holidays are coming up, do you have any special family traditions? Anissa: Thanksgiving is our favorite holiday! The night before, my family comes into town to stay with us. I make the pies, and my little sister makes the best sweet potato casserole. It really ends up being a huge dance party with the whole family. Then on Thanksgiving morning we all run the 5K Drumstick Dash. It's a super fun time, and tradition, for our family. Ariane Moore is an Editor at Hunker. After earning her B.S. in Interior Architecture and Design, she enjoyed working on a variety of projects ranging from residential to hospitality at award winning design firms in both Las Vegas and Los Angeles. She also served as Design Editor at Natural Child World magazine.